Commercially available single-walled carbon nanotubes (SWNTs) consist of a mixture of metallic (m-SWNTs) and semiconducting SWNTs (sc-SWNTs), and therefore cannot be used as they are for applications where pure semiconductors or metallic materials are needed. Hence, the separation of sc-SWNTs from pristine SWNT mixtures is an essential process that precedes the evaluation of SWNTs. The polymer wrapping method, which is one of the well-known methods for separating sc-SWNTs, can separate sc-SWNTs by forming a sc-SWNT/polymer complex in which sc-SWNTs are selectively wrapped with a conductive polymer over metallic SWNTs. This process is generally realized using a tip sonicator, which enables the polymer wrapping and dispersion for SWNTs. However, this conventional tip sonication has several drawbacks, such as difficulties with respect to mass production, contamination, and high cost of equipment. 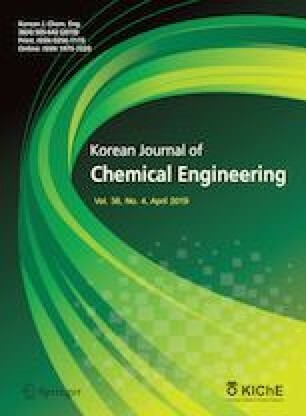 In this work, the selective dispersion and separation of sc-SWNTs were achieved using bath sonication, which can overcome the drawbacks related to conventional tip sonication process. It was confirmed that bath sonication can achieve a similar level of sc-SWNT dispersion efficiency to that of tip sonication. The variation in the dispersion efficiencies with respect to the dispersion time, SWNT concentration, SWNT types, polymer concentration, and solvent types and concentrations was investigated. Furthermore, the dispersion stability was compared by measuring the particle sizes of the sc-SWNT/conductive polymer composites obtained using the bath sonication and tip sonication methods via electrophoretic light scattering as a function of time.